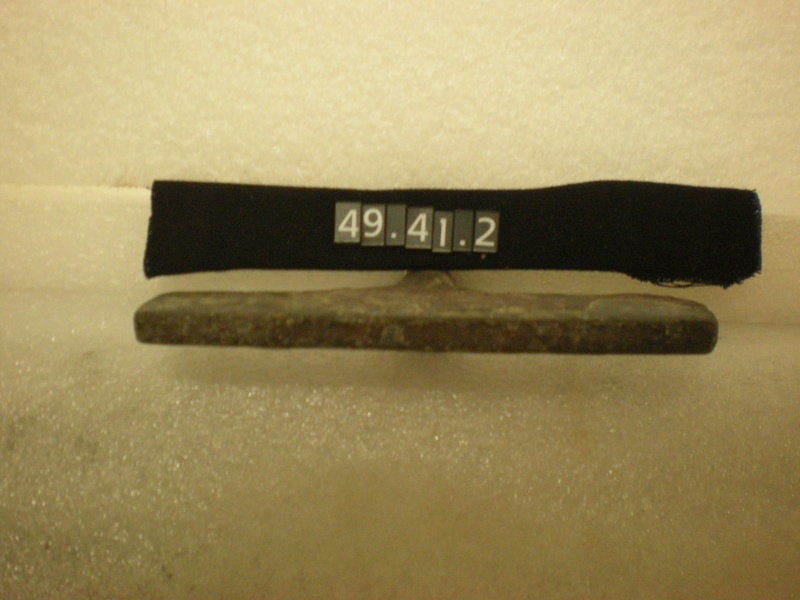 Note: This entry utilizes information from “The History and Practice of Branding: A Guide for the Branding Iron Collection at the Fort Collins Museum” (2007) by former Fort Collins Museum intern Maren Bzdek. As we continue working through the Museum’s artifact collections this month, preparing things for our eventual Big Move, we’ve turned up another set of eloquent objects: our branding irons. 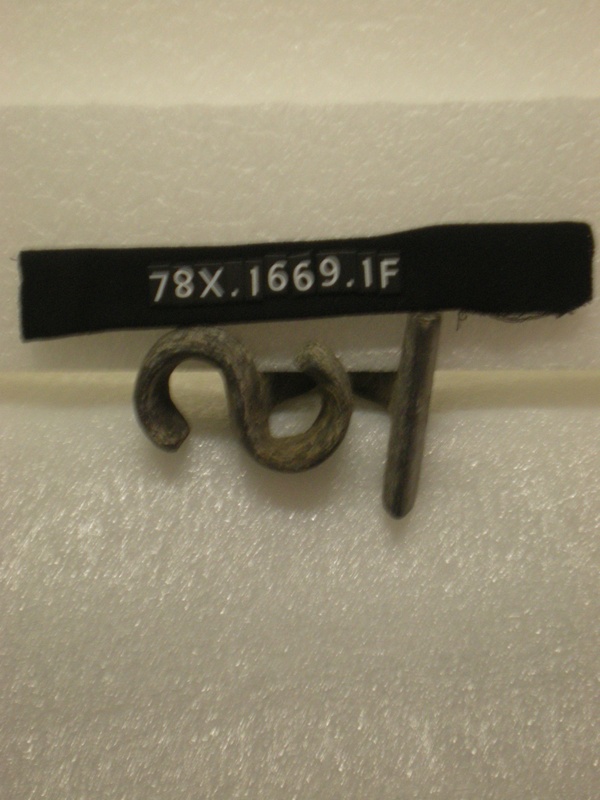 The Fort Collins Museum & Discovery Science Center has a collection of forty-one hand-forged branding irons, which come in a variety of designs and sizes; all but four of which would have been used to mark cattle’s hide. The other four, noticeably smaller irons would have been used on horses or mules. The handles of the irons in the Museum range from about two and a half feet, to just over four feet long. This is about typical, apparently. Irons any shorter than two feet long require that the hand wielding them be protected with a heavy gauntlet or glove; the longer irons provide enough distance from the heated end for their handles to keep cool. The size of the marking end of a branding iron is a clue to its age. Cattle and horse branding irons were made in a wide variety of sizes throughout the nineteenth century, but became quite standardized at the turn of the twentieth century. At this time the growing market for hides lead to a reduction in brand size to five inches for adult cattle and three inches for younger animals. Of course, the most important piece of information carried by an iron is in the unique design of an iron’s brand. Way back in 1867 ranchers in Colorado founded the organization which is now known as the Colorado Cattleman’s Association to register brand designs. It is the oldest group of its kind to have continuously operated in the United States. At the Association’s brand board office in Denver giant Rolodexes record brands going back to Colorado’s earliest ranching days. The State’s Department of Agriculture maintains a registry of brands as well. The history preserved in these brand registries reflects the presence and movements of individuals who, without land ownership or formal employment, are not likely to appear in any other type of record. Prominent Western writer Ivan Doig brought the historic significance of branding irons into the news recently, when he made a large donation to the Montana Historical Society to fund the conversion of Montana’s state branding records to microfilm. This makes the records more accessible and usable to researchers; since the conversion these records have become the third-most-used collection in the State Library’s collection–right behind newspapers and marriage records. 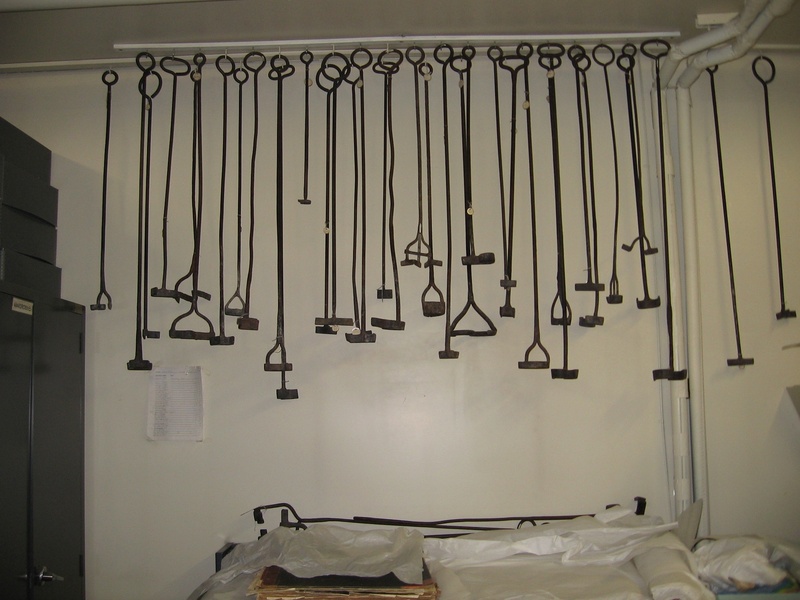 “Branding irons are the classic language of the American West,” Doig said at the time of his donation. The author’s own father, a Montana sheepherder, is untraceable in the state’s property records, but is associated with several livestock brands registered in these newly accessible records. The S Bar brand was registered to James H. Swan, who lived in Livermore and operated Swan’s Hotel on the North Fork of the Poudre. He and his wife, Julia M. Doane, homesteaded a 160-acre claim on the Poudre in 1869 where they developed a farming and ranching operation. Both cattle thieves and legitimate cowhands used simple running irons like this one for freehand branding—to create fresh brands or to alter existing ones. A straight bar could be used to change a “C” to an “O,” an “F” to an “E,” or an “R” to a “B.” To make the new marks look old, skilled “brand artists” would place a wet blanket between the hide and the branding implement to more effectively run old and new together. Though most states eventually made running irons illegal, rustlers continued their nefarious craft, using horseshoes, bailing wire, and riding bits to alter brands.